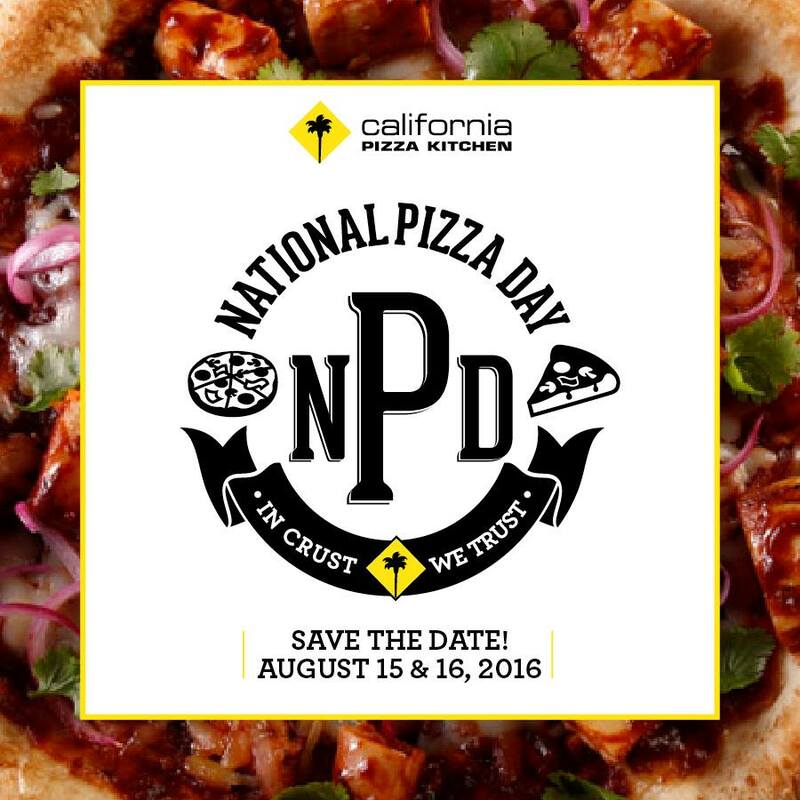 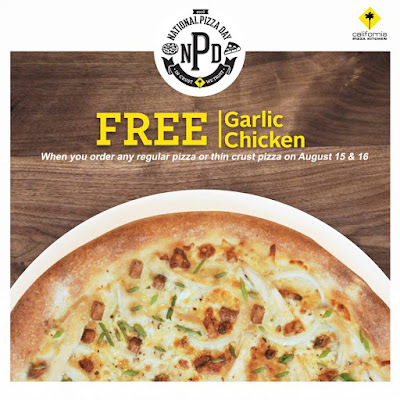 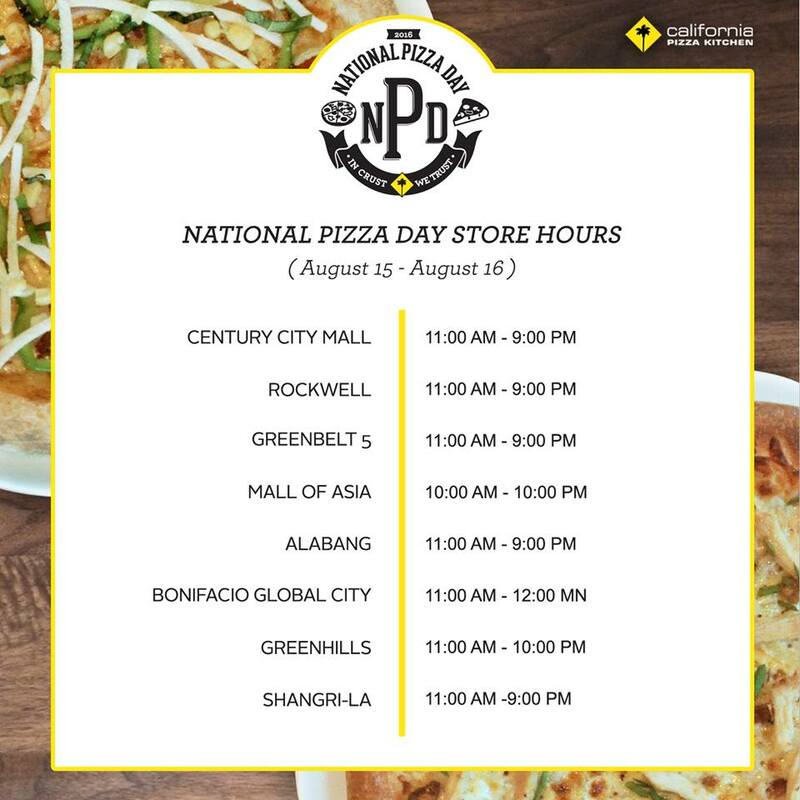 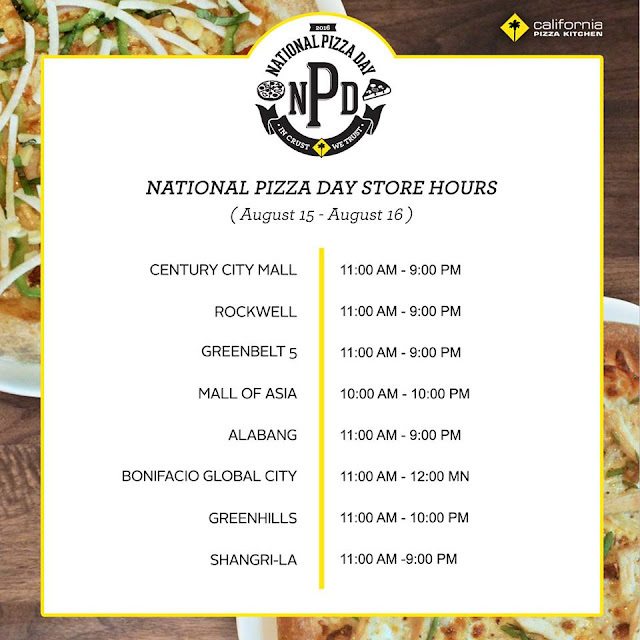 California Pizza Kitchen (CPK) celebrates National Pizza Day with Buy1 Take1 Promo! On August 15 & 16, 2016, head over to your favorite CPK branch, order a regular-priced pizza, and get another one for FREE! 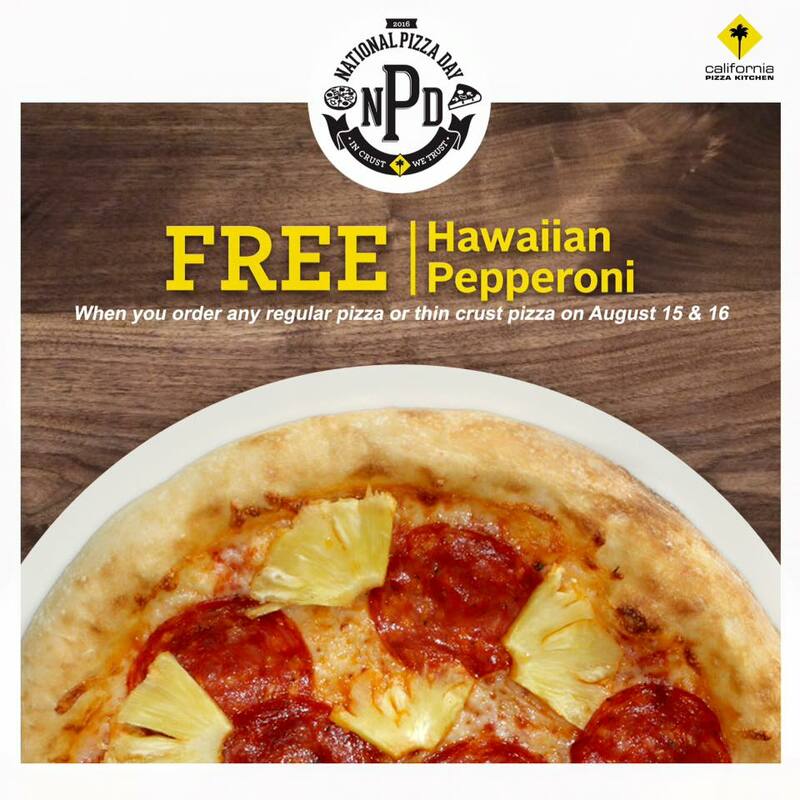 FREE pizzas include Hawaiian Pepperoni, Salami + Bacon, Garden Veggie, Garlic Chicken, and Traditional Cheese.